We interrupt our usual newsworthiness to bring the list of book signings. Yes, I have a book out, "Pecans: A Savor the South Cookbook" (UNC Press, $17.95). In case you missed last week's story, this is a series of books on Southern ingredients. It debuted last week with my book, "Pecans," and Debbie Moose's "Buttermilk." The series will continue with at least 10 more, released a couple of books at time; I have a second book coming in fall 2013, "Bourbon: A Savor the South Cookbook." I'm tickled to be a part of this series, which includes all kinds of writers I know and admire, including John Shelton Reed on barbecue, Virginia Willis on okra and Andrea Weigl on canning and preserving. Thursday, Sept. 20 (yes, as in tomorrow night), 7 p.m., Park Road Books. I'm delighted to start the signings here. Sally and Frazer are terrific supporters of local authors and cookbook authors. Sunday, Sept. 23, 3 p.m., Quail Ridge Books, Raleigh. I've heard so many great things about this independent bookstore. I can't wait to visit. Saturday, Oct. 6, Chapel Hill Farmers Market, 8-11 a.m. This is the one in front of A Southern Season. This will be just me. Saturday, Oct. 6, Parker & Otis, Durham, 11:45 a.m. Love this store and the deli. If no one buys a book, I have to make sure I don't shop up all the profits. Saturday, Nov. 3, 2 p.m., Barnes & Noble, Greensboro. Debbie and I will be back together at this one. Saturday, Nov. 10, 10 a.m.-1 p.m., Atherton Market. Yea, back in my hometown. Saturday, Nov. 17, 7 p.m., Malaprops in Asheville. Not only will you get three UNC Press authors -- Debbie and I will be there with Fred Thompson and his new book "Fred Thompson's Southern Sides" -- you also get an excuse to hang out in one of the best independent bookstores in the country. I was so happy when they asked us to be there. Saturday, Dec. 8, 1-4 p.m., Old Salem in Winston-Salem. I haven't been to Old Salem for the holidays in several years. I'm hoping to get at least one bite of hot sugar cake. There are a few more still being scheduled, but that covers the fall. I hope you'll stop by one of these and say hello, even if you don't buy a book. Whole Foods: Your favorite / least favorite things? We've done this with Trader Joe's and Costco. Now that Whole Foods has finally opened in Charlotte, it's time to put our cooking heads together. Do you have favorite products or things you always buy at Whole Foods? Looking around at online discussions about Whole Foods in other cities, I've found fans of Wise kosher chickens, Fran's chocolate sauce and Siggi's Icelandic yogurt in the ginger/orange flavor. How about it, Whole Foods vets? What's always on your shopping list? And since no store is perfect, have you found things that don't live up to the price? Last winter, one of my favorite new cookbooks was an imaginative book on Southern cooking called "Basic to Brilliant, Y'All," written by one of the South's most solid talents, Virginia Willis of Georgia. Now that Whole Foods has finally opened, we have a new spot for visiting cooking teachers, at the store's Salud! Cooking School. Virginia will be one of the first, appearing Wednesday at from 6:30-8:30 in the third-floor restaurant at Whole Foods, 6610 Fairview Road. She'll teach recipes from "Basic to Brilliant." On Friday, chef Justin Balmes of "The New Food Network Star" also will be at Whole Foods demonstrating a full menu featuring local and regional ingredients. His class is also 6:30-8:30. Both classes are $55 and are filling up quickly. You do need to register to attend. 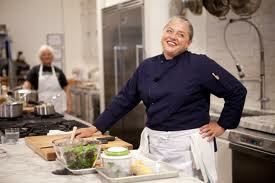 Go to http://www.wholefoodsmarket.com/service/salud-cooking-school-charlotte . You also can find the whole class schedule for the rest of the fall, in case you want to get a jump on things. As Virginia would say, "Y'all come." Cleaning out my purse on Friday, I found two hors d'oeuvre toothpicks, the kind with the frilly plastic tops. That says a lot about my life in the last two weeks, both in the lead-up to the DNC and the actual convention itself. It sounds glamorous to say I was on party coverage. Reality? I was picking up dinner based on which fast-food line was on the way home at 9 at night, or grabbing what I could from cold appetizers and limp buffets. My soul is screaming for something simple, soulful and nutritious. I'm craving the chance to get back in the kitchen. Alas, it's still not to be: My book, "Pecans: A Savor the South Cookbook," comes out Monday. So I'm hitting the road right behind the departing conventioners, on my way to the Southern Independent Booksellers Assocation convention in Naples, Fla. If I had a chance to cook this weekend? I'd aim for something like this. From "Fine Cooking: Make It Tonight," by the editors of Fine Cooking magazine (Taunton, $17.95). Heat 1 tablespoon oil in a large pot over medium-high heat. Add carrots and onion and cook, stirring occasionally, until onion is soft and just golden-brown, about 10 minutes. Scrape the vegetables in a bowl and set aside. Heat the remaining 1 tablespoon oil in the pot over medium-high heat. Add pasta and cook, stirring often, until dark bolden brown, 3 to 4 minutes. Add the broth and stir, scraping the bottom of the pot to release any stuck-on pasta. Return the carrots and onion and add the kale, beans, lime juice, 1/2 teaspoon salt and 1/4 teaspoon pepper and bring to a boil. Reduce the heat to medium-low and simmer until the kale, carrots and pasta are tender, 8 to 10 minutes. Remove from the heat, stir in the cilantro and season to taste with more lime juice, salt and pepper before serving. Sit down and enjoy the quiet of a peaceful evening. Get some sleep, people. If you don't, your brain can't help you judge when you've had too much to eat. Those orders came directly from Arianna Huffington and chef Marcus Samuelsson. Arianna -- it's not only hard to call her Huffington, it's hard not to say "Ari-aaaaaaa-nah" without stretching it out like the old "Ruffles have ridges" commercial -- has set up the Huffington Post Oasis, a rest and relax stop, in the Flex + Fit facility at Stonewall and Church streets, right across from my office. On Tuesday, she brought Hufflepuff blogger Samuelsson, for a quick Q&A on healthful eating. In the chef world, Samuelsson has a globally interesting story: Born and orphaned in Ethiopia, adopted and raised in Sweden, opened restaurants in New York (the former Aquavit and now Red Rooster in New York), stints on "Top Chef Masters" and now author a memoir, "Yes, Chef." Marcus doesn't say no to much, apparently. -- In Japan, people only eat until they are about 80 percent full. Americans eat until we're full. Stop that. -- "You still cannot say if all organic is better for us. It's better to eat a peach in season than an unripe organic peach." -- "Cook with a spiritual compass, eat with a spiritual compass." That's what Samuelsson calls "eating brightly," or paying attention to what you eat, where your food comes from, when to eat. -- During the Ramadan fast, Muslims lost 7 percent of their total body mass. During American holidays, we gain weight. Stop that. -- In the fishing village in Sweden where he was raised, there was a saying: If you catch 40 fish, cook 10, preserve 10, give 10 to elders or people without enough food, and sell 10 to buy something else. Former Observer writer Dan Huntley is now better known as barbecuer Dan the Pig Man, who sells from a food truck covered with barbecue slogans. Dan was planning to sell barbecue sandwiches and ribs on Tryon Street all week for the Democratic National Convention. He smoked 3,000 pounds of pork butts and 200 racks of ribs, enough for 6,000 sandwiches. After starting Monday at CarolinaFest, he was moving to Legacy Village, next to the Gantt Center, 551 S. Tryon St., for the reminder of the week. Late Monday, word rocketed around the newsroom (or at least among my editors, who tend to be a bit obsessive about Dan's barbecue): Dan was sold out already. CarolinaFest turnout was so big, he was done for the week. Never trust the word from editors: I called Dan on Tuesday morning and he was already back on South Tryon at Legacy Village. He stopped by a WalMart on his way home to York County Monday night, loaded up with 28 butts and started smoking again. So he's back in business for the rest of the week. If you know a delegate who is desperate to try real Carolina barbecue, take them down to Legacy Village, across from the convention center (and all those hungry journalists). Tell Dan I sent you. Hustling from the Mint to the Bechtler to the NASCAR Hall of Fame on Sunday, especially in the rain and heat, can definitely crimp a girl's party style. So I used a trick I've used several times in New York, when I don't have to go far but I want to save shoe leather: Hail a pedicab. For $5 and a tip (I'm always generous to pedalers), veteran driver Raymond Dudine gave me some good advice. Worth bearing in mind this week: "You have to be smarter than traffic. Be nice to corner officers. Pay attention." And since my camera cut off his phone number, here's another way to reach him if you need a ride: 704-668-9496. Delegates: What are you eating? I can tell you what my diet has been like in the last week of 12- and 13-hour days getting ready for the DNC: Drive-thru, fast food, frozen stuff I barely thawed. I was interviewing caterers by day and grabbing the fastest thing I could find at night. Ironic that Michelle Obama and her friends drove me to the first Big Mac I've eaten in a couple of years. But what I'm more interested in is what you're eating: If you're a delegate or a DNC visitor, where did you end up going? Did you get shrimp & grits, did you love or hate our barbecue? Pass it on, please. After hearing what the big-city papers ate here, I'm more interested in what the ground troops are doing. Email me at kpurvis@charlotteobserver.com or send me a note through Twitter (@kathleenpurvis).